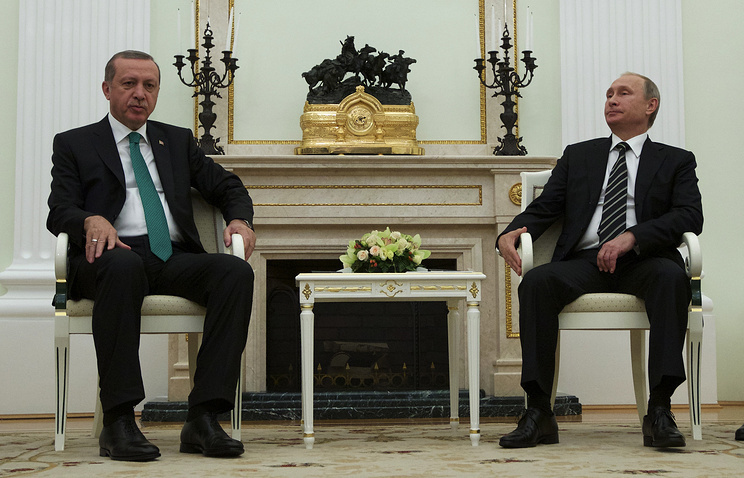 The Kremlin expects that Russian President Vladimir Putin and his Turkish counterpart Recep Tayyip Erdogan will discuss at their August 9 meeting ways of restoring the bilateral relations, Russian presidential spokesman Dmitry Peskov said on Thursday. “There will be a serious exchange of views on how, at what pace and in what sequence we will deal with the restoration of our relations,” he said. The Kremlin spokesman added that the two leaders will also discuss regional issues, including the situation in Syria. “It’s safe to predict that there will be a detailed exchange of views on regional problems, including Syria,” he said.